My first year in PT school is almost in the books. I’ve spent thousands of hours in class, hundreds of hours in the library and I’ve probably consumed enough coffee to fill a swimming pool. I had the opportunity to dissect an entire human body, I had the chance to observe some excellent clinicians and I couldn’t have asked for a better group of classmates. I learned a lot this past year academically, but perhaps the most important lessons I’ve learned transcend physical therapy and can be applied to the broader category of life. 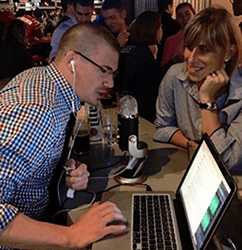 Without further adieu, here are 5 things I learned my first year of PT school. When it comes to physical therapy, perhaps the most important thing to realize is that everybody is different. No two people are exactly alike and for that reason, no two people can be treated exactly the same. Sure, two people can have the same diagnosis, and there can be common patterns across diagnoses, but that’s where the similarities end. the patient’s occupation, daily tasks, and goals most likely will different, etc. You get the point. Just like our parents told us when we were little – everyone is different. It’s now more than ever that I truly grasp the magnitude of these differences that make us individuals. In physical therapy, individuals need individualized treatment. In life, individuals need individualized respect. Surface level judgements overlook the deep differences that influence our thoughts, behaviors and interactions. Whether in physical therapy or in passing on the street, you really can’t judge a book by it’s cover. As an “exercise scientist” (weird to think that this is my title at this point) and a student of physical therapy, I’m well versed in the benefits of exercise. But it doesn’t take a rocket – or exercise – scientist to realize that we need to move. Our ancestors moved constantly – they moved to find food, to find shelter, to mate, and to survive. As humans, our bodies evolved to move. Movement helps circulate our blood, feed our cells and forge the growth of our bones, muscles, tendons, etc..
All the way down to the cellular level, movement nourishes and molds us. From the moment we’re born (and even before that), we move. As infants we learn to move – rolling, crawling, walking – so that we can explore our world. Being able to move gives us freedom. When our capacity to move independently is diminished, we struggle. The day we stop moving is ultimately the day that our life ends. Yet, at this point in human history, we as a species are more sedentary than ever. What I’ve come to notice is that when sedentary people feel pain, get achy, or even feel tired they take it as a sign that they need to rest and avoid movement, when in fact, their aches, pains and tiredness are consequences of their sedentary lifestyles. Contrary to popular belief, these people need to move more! Before moving on (get it? – puns), I want to be clear – there is no “best way” to exercise and there is no one way to move, but the important thing is that we all stay active. I’m not saying that you have to go out and run a marathon, but I am saying that if you want to feel better, you need to move. Go out, find a mode of exercise that you enjoy (or at least tolerate) and do it in whatever capacity you can – your body will thank you. Ok, I knew this before coming into school. I think we all know this. But that doesn’t make it any less important. Having been immersed in all things physical therapy for the past year, I’ve learned about, observed and experienced (rotator cuff impingement – fun stuff!) plenty of set backs during the injury rehabilitation process. 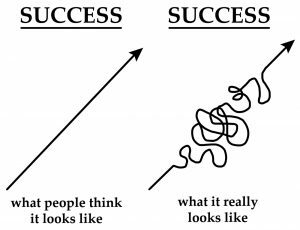 I was reminded time and time again that progress is never linear. From the patient’s point of view, I realized how important it is to know that there will be ups and downs. Knowing that the road to recovery may be rocky gives patients solace each and every time that there is a minor set back. As a future healthcare provider, I realize it’s imperative that physical therapists educate patients on the recovery process as well as offer support, reassurance and encouragement along the way. Remember that old saying “sticks and stones may break my bones, but words will never hurt me.” ? Words are powerful and when it comes to physical therapy, words matter a lot. How a therapist communicates with his/her patients sets the foundation for how successful or unsuccessful treatment will be. The complexity of the human body is beyond the scope of this blog, so I’ll keep things simple. The mind is extremely powerful and language/emotion is intimately tied to all facets of our cognition,. Therefore, a person’s beliefs and emotions significantly affect how they will respond to any given treatment or intervention. It has been shown time and time again – the placebo is real. If someone believes that a treatment will make them feel better, then it is more likely to work for that person. Conversely, the nocebo is real as well. If a person has fear about their condition or is skeptical about a certain intervention, then that person is less likely to feel better. This is where language comes in. The job of a physical therapist is to educate and empower patients. Physical therapists need to make patients feel comfortable, respected and heard. By educating and empowering patients, physical therapists can minimize fear and maximize patient buy-in and therefore set their patients up for success. While language is a powerful determinant of outcomes in physical therapy, it’s also a powerful determinant of outcomes in life. The language we use with others influences how they will feel, react and respond. Even more important, the language we use with ourselves deeply influences every aspect of our being, from neural circuitries to circulating hormones all the way to our DNA; our words literally change who we are. Choosing positive, empowering and encouraging words has a profound affect on everyone, including yourself. Almost a year ago to date, I came into school confident as could be. I had spent the previous few years immersing myself in anatomy, physiology, motor learning, etc.. I was extremely confident – at the time I thought I knew everything. Well, I was humbled – over and over and over again. School is tough and I quickly learned that I didn’t know as much as I thought. In fact, the more I learn, the more I realize how little I actually know. It’s safe to say that I have a new appreciation for learning. I especially have a new appreciation for the type of knowledge that only experience can afford. This past year of school has humbled me, but at the same time, it’s lit a fire. I absolutely can’t wait to get out in the clinic and mess up…. wait… what? You read that right – I can’t wait to make mistakes. Don’t get me wrong, I would love nothing more than to knock it out of the park and be perfect. But the reality is, even the best clinicians make mistakes and mistakes, in my opinion, provide the best opportunity to learn. The opportunity to learn is what I’m excited for… I’m hungry. Hungry to learn more, help more and to be better each and every day. As I sit at my computer writing this blog – my palms are sweaty, my knees are weak and my arms are heavy, there’s vomit on my sweater already, mom’s spaghetti… (shoutout to Eminem). But in all seriousness, I am absolutely pumped to work on my craft and develop my skill. And whatever it is you may be striving to achieve, I hope you are too! I’d like to end this blog post with a quote from one of my favorite actors. 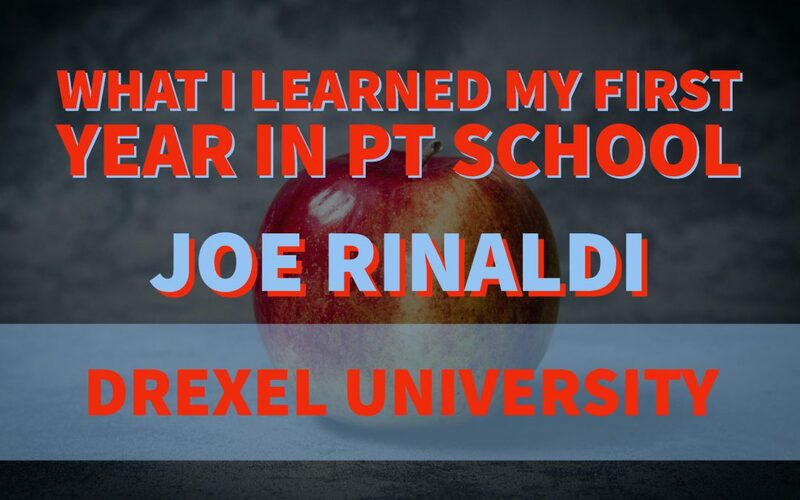 Joe Rinaldi is a 2nd year SPT at Drexel University in Philadelphia and will graduate in 2019. 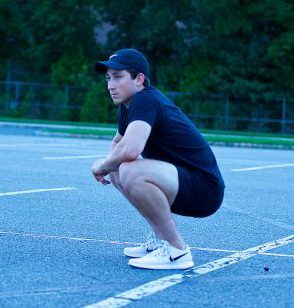 When he’s not in class, at the gym or studying, Joe enjoys combining his passions of cinematography, fitness and physical therapy to produce content on his Instagram page (@joe_flofit). In addition to physical therapy, fitness and film-making, Joe enjoys writing, motivating others and spreading positive messages.